A Presbyterian College graduate, where he played on three Conference championship teams. He also served as assistant coach on both the men's and women's teams at his alma mater. He has been a valuable staff member since 1993. Jack has served as a member of the Leadership Team, assisting in the day-to-day camp operations, for the past fifteen years. He serves as one of the directors of goalkeeping. He holds a USSF "C" license. Jodie has been with RLSA since 1993. He is currently the Head Women’s Soccer Coach at Alabama State University. 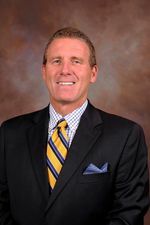 Prior to ASU, Coach Smith has been the Head Coach at Georgia State and Mercer University totaling 18 years as a collegiate soccer coach. Active in the youth ranks as well, Jodie is a staff coach with the Alabama ODP staff and currently is the Girls Academy Director of the Capitol City Streaks located in Montgomery, AL . Prior to his move to Alabama he was a member of the Georgia ODP staff. Jodie has a USSF “B” license as well as the USYSA National Youth License. He helps oversee the day to day operations as well as staff administration of the camp. Scott Halkett is in his seventh season with the USC Upstate men’s soccer program and second as the head coach. Halkett was announced as the fifth head coach in program history on July 20, 2017. He played an instrumental role in helping Upstate make its first-ever appearance in the ASUN Tournament championship game during the 2015 season. During his four seasons as an assistant coach, the Spartans had five ASUN All-Conference and four All-Freshman Team selections, as well as two ASUN Scholar-Athletes of the Year, two NSCAA All-Region and Academic All-Americans, and one ASUN Player and Freshman of the Year. Coach Mike Nance has been working with RLSA since 1989. He played high school and club soccer in Georgia and was a member of the Hotspur 1974 U-19 which made the national semi-finals under legendary coach Scottie O’Neill. He coached Druid Hills High School (Atlanta) boys for 21 years and wining over 200 games. He was the Alpharetta High School Boys’ Head Coach from 2004-2009 before taking a break from coaching while his daughter Renee was playing for the Raiders Women’s soccer team (Ga. Southern 2016). In 2013 he became Womens’ Soccer Assistant Coach and Women’s Head Coach in 2014. Ralph currently serves as an assistant coach at the College of Charleston where he also played from 2009-2012. He was selected to the All-SoCon team as a senior, when he helped lead his team to the 2nd round of the NCAA Div. I Men's National Tournament. He played professionally with the Charleston Battery of the USL and Caledonia AIA of the Trinidad and Tobago professional League. He has also serves as a coach with USA-Mount Pleasant.